Draft: 2008, Los Angeles Angels, 13th rd. Michael Thomas Kohn (pronounced CAAN)...Twitter: @MichaelKohn58...attended the College of Charleston (SC) where he earned his degree in communications...Kohn's grandfather was a three-star admiral in the U.S. Navy...great-uncle, Bob Sheheen, served in South Carolina's House of Representatives from 1977-2000...cousin, Vincent Sheheen, was the Democratic candidate for governor of South Carolina in 2010. Spent nearly first four months of season on Triple-A Rochester's 7-day disabled list, recovering from right shoulder surgery during offseason ...Began his season on rehab assignment with both GCL Twins and Single-A Ft. Myers during all of August... Reinstated from rehab and transferred to Triple-A Rochester, where he appeared in one game for Red Wings. Did not appear professionally, recovering from a right rotator cuff tear in shoulder...had surgery October 14, 2015. Signed by Tampa Bay as minor league free agent October 16 but was outrighted a month later and signed a minor league contract with Atlanta December 7...began season with Triple-A Gwinnett and selected by the Braves April 24...optioned back to Gwinnett May 6 and immediately placed on 7-day disabled list with a right shoulder strain...returned to Gwinnett and appeared in two games. Returned to Angels after missing entire 2012 season due to Tommy John surgery…Completed first full Major League season and third overall, establishing career bests in games (63), innings pitched (53), games finished (13), strikeouts (52) and walks (28)... Posted a 3.25 ERA (27.2 IP - 10 ER) at Angel Stadium compared to a 4.26 ERA (25.1 IP - 12 ER) on the road... Season debut on April 20th vs. DET was first appearance in Major League game since July 19, 2011 vs. Texas... Ranked sixth in AL, stranding 75% of inherited runners (min. 40 IR)... Did not allow an earned run in 22 of 24 appearances from May 4 - July 4. Threw five scoreless innings with Angels during Spring Training before being shut down in late March...Originally diagnosed with a forearm strain...Futher evaluation revealed a torn ligament in right elbow...Underwent Tommy John surgery on April 12 in Florida (performed by Dr. James Andrews). Made first career Opening Day roster with Angels...Made two seperate stints with Halos, registering an 0-1 recordwith one save and a 7.30 ERA (12.1 IP - 10 ER) in 14 appearances...Was one of five Angel relievers to record a savein 2011...Made five appearances before being optioned to Salt Lake, April 11...Recalled June 20th and made ninemore appearances before being optioned back to Salt Lake, July 21st for the remainder of the season...Made 46relief appearances for Bees, going 1-3 with a team-high 12 saves and a 4.10 ERA (48.1 IP - 22 ER). Began season with double-A Arkansas where he posted a 2-2 record with three saves and a 2.45 ERA (18.1 IP - 5ER) in 15 appearances prior to promotion to triple-A Salt Lake...With Bees, was 3-2 with eight saves and a 1.95 ERA(27.2 IP - 6 ER) in 26 appearances...Had contract selected by Angels July 26 and made MLB debut on same day...Finished first stint in Majors with a 2-0 record with one save and a 2.11 ERA (21.1 IP - 5 ER) in 24 appearances...Earned first Major League victory, Sept. 17 at Tampa Bay (1 IP, 1 H, 3 BB, 1 SO) and notched first career save, Oct.1 at Texas (1 IP, 2 SO)...After allowing two earned runs in first outing (0.1 IP), finished the season posting a 1.29ERA (21 IP - 3 ER)...19 of final 21 outings in 2010 were scoreless...Limited right-handed batters to a .114 clip(4/35)...Winner of 2010 Fred Haney Memorial Award given to top Angels' rookie in spring training. began season with Cedar Rapids, posting a 4-1 record with six saves and a 2.19 ERA (37 IP - 9 ER) in 16appearances...Was selected as a Midwest League Mid-season All-Star...Following promotion to Rancho Cucamonga,compiled a 2-0 record with three saves and an 0.94 ERA (28.2 IP - 3 ER) in 22 relief appearances. spent first professional season with Orem, posting a 2-0 record with a 1.93 ERA (23.1 IP - 5 ER) in16 appearances...Did not allow a run over first three professional appearances...Struck out seven over threeperfect innings, July 17 and struck out four over two perfect innings, July 21...Did not allow an earned runover final seven appearances between August 13 and September 4. April 3, 2019 RHP Michael Kohn assigned to Jackson Generals from Reno Aces. 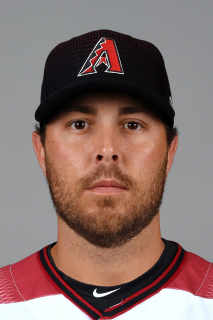 February 8, 2019 Arizona Diamondbacks signed free agent RHP Michael Kohn to a minor league contract and invited him to spring training. February 8, 2019 RHP Michael Kohn assigned to Reno Aces. March 24, 2018 Minnesota Twins released RHP Michael Kohn. February 6, 2018 Minnesota Twins invited non-roster RHP Michael Kohn to spring training. August 31, 2017 RHP Michael Kohn assigned to Rochester Red Wings from Fort Myers Miracle. August 16, 2017 RHP Michael Kohn assigned to Fort Myers Miracle from Rochester Red Wings. August 2, 2017 Rochester Red Wings sent RHP Michael Kohn on a rehab assignment to GCL Twins. July 20, 2017 Minnesota Twins signed free agent RHP Michael Kohn to a minor league contract. July 20, 2017 RHP Michael Kohn assigned to Rochester Red Wings. October 5, 2015 RHP Michael Kohn elected free agency. September 14, 2015 Atlanta Braves sent Michael Kohn outright to Gwinnett Braves. September 1, 2015 Gwinnett Braves activated RHP Michael Kohn from the 7-day disabled list. August 25, 2015 Gwinnett Braves sent RHP Michael Kohn on a rehab assignment to GCL Braves. August 24, 2015 Gwinnett Braves sent RHP Michael Kohn on a rehab assignment to GCL Braves. May 9, 2015 Gwinnett Braves placed RHP Michael Kohn on the 7-day disabled list. Strained right shoulder. May 6, 2015 Atlanta Braves optioned RHP Michael Kohn to Gwinnett Braves. April 24, 2015 Atlanta Braves selected the contract of Michael Kohn from Gwinnett Braves. December 4, 2014 Atlanta Braves signed free agent RHP Michael Kohn to a minor league contract and invited him to spring training. December 4, 2014 RHP Michael Kohn assigned to Gwinnett Braves. December 2, 2014 RHP Michael Kohn elected free agency. November 26, 2014 Tampa Bay Rays sent RHP Michael Kohn outright to Durham Bulls. November 20, 2014 Tampa Bay Rays designated RHP Michael Kohn for assignment. October 15, 2014 Tampa Bay Rays signed free agent RHP Michael Kohn. September 8, 2014 RHP Michael Kohn elected free agency. September 2, 2014 Los Angeles Angels designated RHP Michael Kohn for assignment. July 1, 2014 Los Angeles Angels optioned RHP Michael Kohn to Salt Lake Bees. June 28, 2014 Los Angeles Angels recalled Michael Kohn from Salt Lake Bees. June 3, 2014 Los Angeles Angels optioned RHP Michael Kohn to Salt Lake Bees. April 19, 2013 Los Angeles Angels recalled Michael Kohn from Salt Lake Bees. March 15, 2013 Los Angeles Angels optioned Michael Kohn to Salt Lake Bees. November 2, 2012 Michael Kohn roster status changed by Los Angeles Angels. May 21, 2012 Los Angeles Angels transferred RHP Michael Kohn from the 15-day disabled list to the 60-day disabled list. April 4, 2012 Los Angeles Angels placed RHP Michael Kohn on the 15-day disabled list retroactive to March 26, 2012. Right forearm strain. October 14, 2011 RHP Michael Kohn assigned to Gigantes del Cibao. October 6, 2011 Los Angeles Angels activated RHP Michael Kohn. July 20, 2011 Los Angeles Angels optioned RHP Michael Kohn to Salt Lake Bees. June 20, 2011 Los Angeles Angels recalled Michael Kohn from Salt Lake Bees. April 11, 2011 Los Angeles Angels optioned Michael Kohn to Salt Lake Bees. July 26, 2010 Los Angeles Angels selected the contract of Michael Kohn from Salt Lake Bees. May 21, 2010 Michael Kohn assigned to Salt Lake Bees from Arkansas Travelers. April 6, 2010 Michael Kohn assigned to Arkansas Travelers from Rancho Cucamonga Quakes. February 3, 2010 Los Angeles Angels invited non-roster RHP Michael Kohn to spring training. July 3, 2009 Michael Kohn assigned to Rancho Cucamonga Quakes from Cedar Rapids Kernels.